Based on credible intelligence available to Lagos State Police Command, that some cultists led by one Kanmi alias Father were planning to strike in Ilasamaja community on the 29th day of March 2018, the Commissioner of Police, Lagos State, directed the Divisional Police Officer of Ilasamaja, SP. Oriyomi Oluwasanmi Titilayo to bring to an end the reign of the blood thirsty Cult henchman who had been terrorising that Community for a long time now and had become worse since he came back from the prison. True to type, at exactly 5pm, Kanmi whose trade marks were sorrow, tears and blood arrived the community with his gang unknown to him that his rank had been infiltrated by the underground operatives of the Command. 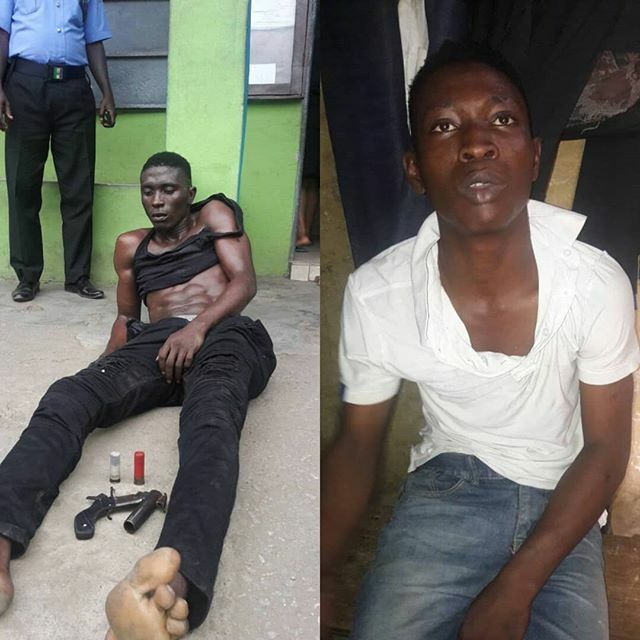 The DPO and team who were on standby for him and his gang, sighted Kanmi a.k.a Father at Hassan Street, Ilasamaja with two of his criminal associates in a fight with a young man suspected to be a member of a rival confraternity. Kanmi had lifted his matchet to cut his rival before he was challenged by the police team. He immediately took to his heels and was pursued and arrested by the police. He was frisked and a locally made pistol loaded with two cartridges was recovered from him. Also arrested was one Alami Samuel, 22 years of age, an associate of Kanmi the Father. The CP Lagos wishes to use this medium to warn all those who belong to these nefarious clandestine societies to renounce their membership or be arrested and dealt with according to the law.